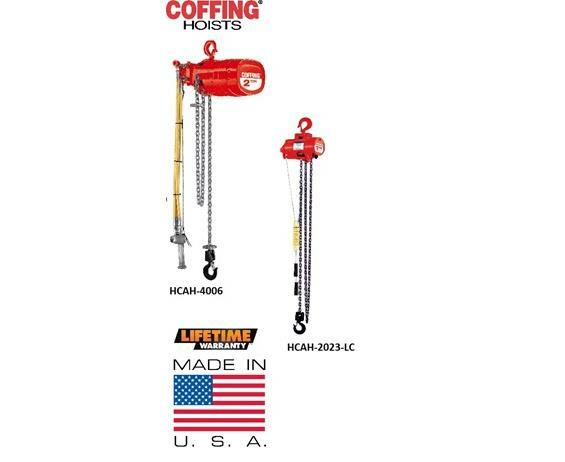 Coffing CAH air chain hoists feature continuous duty service for precise, infinitely variable speed and accurate load spotting. Aluminum housing provides a lightweight, compact and strong alternative to other materials. FOB Shipping Point. Pull cord standard. Pendant throttle optional. Pendant throttle is full-flow design. Air Supply - Inlet Size: 3/4" NPTF; Supply Hose: 3/4" I.D. min. 90 PSI air operating pressure. Precision throttle valves meter air for smooth starts. 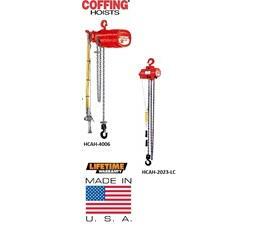 Swivel top and bottom hooks with safety latches standard. Precise and infinitely variable speed control for accurate load spotting. High, uniform torque and quick response with quiet operation. Mechanical load brake positive acting Weston-type load brake holds the load and provides exacting load spotting and control. Overload clutch protects from damaging overloads. Options include spark and corrosion resistant models and chain containers. 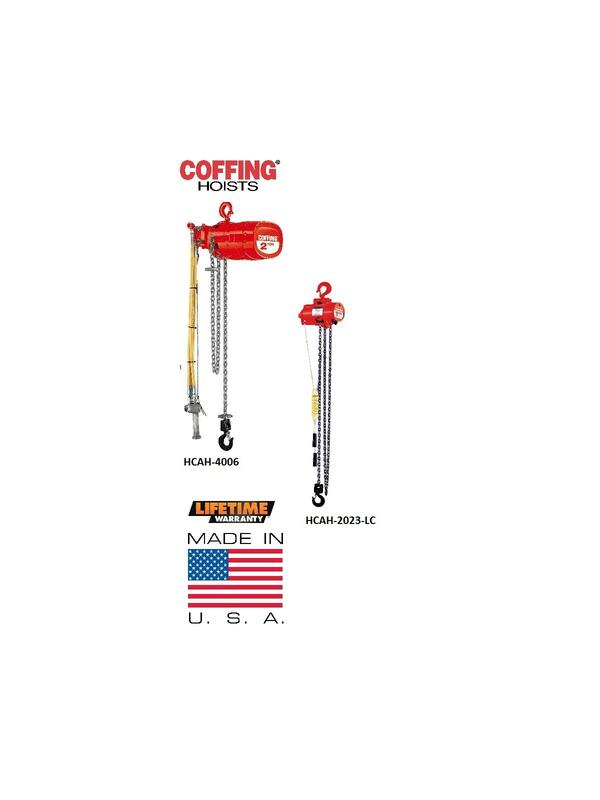 Call for additional hoist configurations.